How the manipulated Western media attempts to rewrite reality. May 6, 2012 - Under Google News it is not uncommon to see a large number of sources filed under news stories covering particular events. 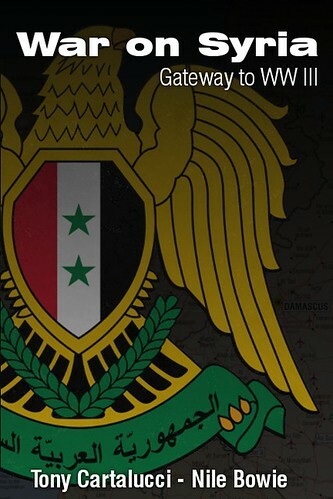 It is to be expected to find multiple news sources from around the world covering unfolding events. However, what is unexpected is to find a similarly large number of sources under news items that are clearly "opinion" or "editorials." Just how is it that "journalists" across the Western world simultaneously come to the same conclusions at the same time on the same topics? In the case of Russia's Vladimir Putin returning to the presidency and the apparent complications it holds for Western corporate-financiers and their campaign of global expansion, a myriad of media sources are peddling talking points revolving around "contested elections," "voter fraud," "political prisoners," and large numbers of "protesters" opposed to Putin. The US State Department's Radio Free Europe led the way with an "Inauguration in Numbers" attempting to portray Putin's return to power as an exercise in both fraud and wasteful "lavish" spending, while framing the opposition as victimized by a corrupt dictatorship. AFP in turn, parrots talking-points about a "glitzy inauguration" as well as accusations of "fraud." The Associated Press comes in next, featuring what is in reality an op-ed, but promoted as a news item. Titled, "Putin Returns to Presidency in a Changed Russia," it reiterates the US State Department's propaganda by claiming the limited protests funded and organized by the US State Department through its National Endowment for Democracy (NED) front and its various subsidiaries, constitutes a "growing portion of society," that is "no longer willing to silently tolerate a government that denies its citizens a political voice." AP accuses Putin of portraying the protesters as "in the pay of the Americans and intent on bringing about a revolution that would take Russia back to the instability and humiliations of the 1990s." AP adds, "with Kremlin-controlled television still the main source of information for most Russians, many believed him." In reality of course, Putin's assessment of the protesters was not only correct, but backed by reams of irrefutable evidence with US State Department money documented on NED's own website as being funneled into the GOLOS election monitors, paradoxically cited by the Western press as "independent." 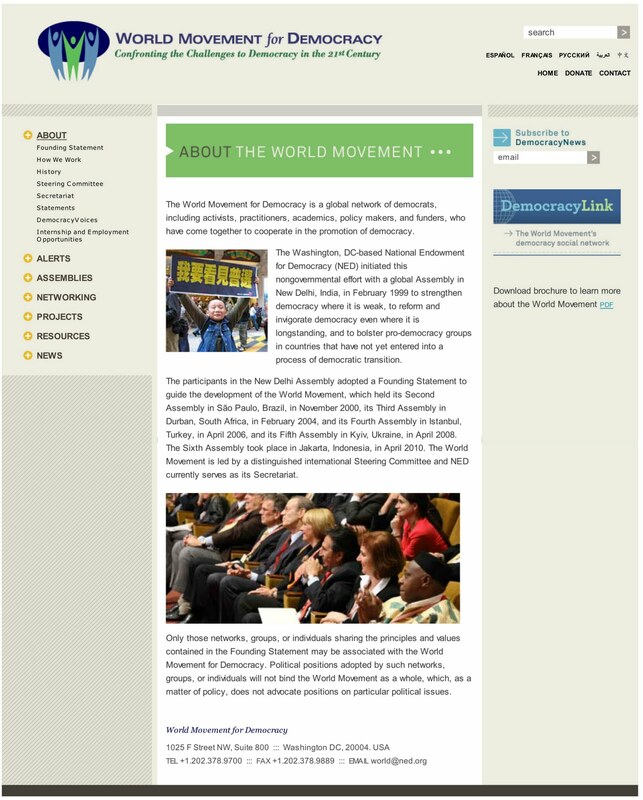 Likewise, leaders of the protest movement opposing Putin have their names openly listed on rosters and disclosures by the US State Department's various NGO fronts, as well as buried in the vast amount of documents, event attendance lists, and reports put out by these organizations on a yearly basis. The many who "believe" Putin's accusations against his opponents, need not turn to Kremlin-controlled media, but simply open the annual reports, rosters, and funding information of the US State Department's National Endowment for Democracy and see not only the truth for themselves, but how supposedly reputable news agencies like AP distort reality with their manipulative, intentionally misleading reports. Russia's Opposition IS in the Pay of the Americas. Despite AP's attempt to portray claims of US-backing behind Putin's opposition and claims of "election fraud" as "Kremlin-controlled propaganda," the truth is rather well documented. 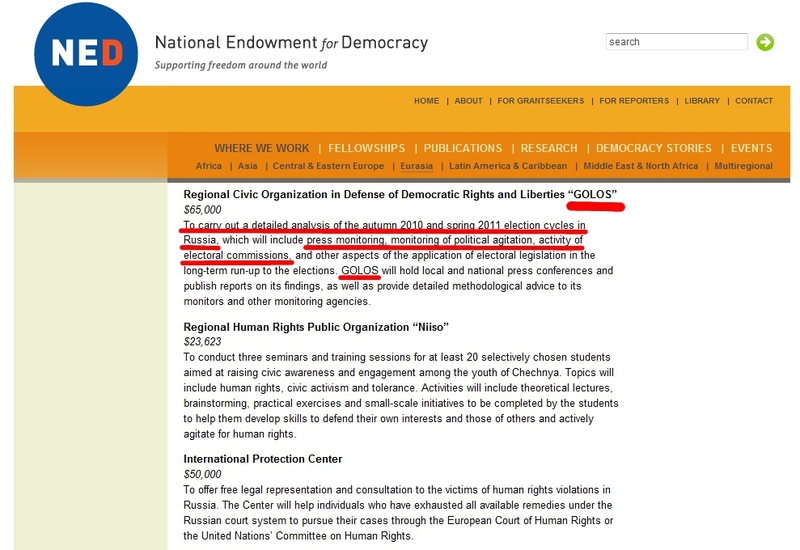 Not only were the "election monitors" of GOLOS calling Putin's victory at the polls "rigged," fully funded by the US State Department through an organization openly voicing a desire to depose Putin from power, but Russia's main opposition movements are led by an array of documented operatives working for Western interests. These include Vladimir Ryzhokov, a US NED-funded Wold Democracy Movement steering committee member, his partner Boris Nemtsov whose political adviser, Vladimir Kara-Murza, is also a member of "activist" Ilya Yahsin's Solidarnost group, and an attendee of a pre-election NED-funded seminar titled, "Elections in Russia: Polling and Perspectives." Ilya Yahsin, another opposition leader, heads the Solidarnost group and the US-NED funded "Strategy 31" campaign in tandem with the Moscow Helsinki Group, a NED, Ford Foundation, USAID, and Soros' Open Society-funded NGO. 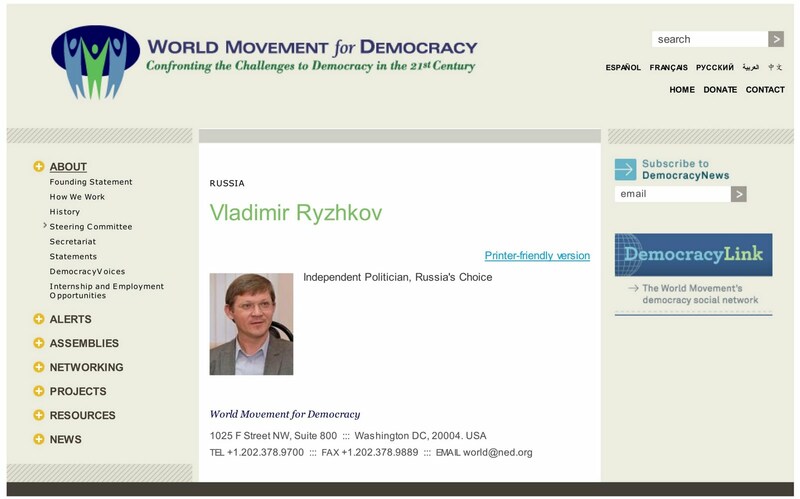 Also noteworthy is opposition leader and "anti-corruption activist" Alex Navalny and his ties to the National Endowment for Democracy, as he is one of the co-founders of the NED-funded DA! (Democratic Alternative) activist movements, as stated in his Yale World Fellows biography. Clearly, accusations of Western involvement in Russia's opposition, where every prominent leader has documented ties to the US State Department and its various subsidiaries, are more than just Kremlin-controlled propaganda. It is the demonstrative truth and it is indeed the Western media spreading unsubstantiated lies regarding Russian politics, spun from compromised NGOs like GOLOS, and viewed through the prism of US-funded and backed opposition leaders like Boris Nemtsov, Vladimir Ryzhkov, and Alex Navalny. And while many may try to respond by claiming the NED's intentions are noble, its board of directors is a collection of some of the most compromised, nefarious individuals in Western politics - as are NED's various subsidiaries including Freedom House, IRI and NDI. Everything you Read in the Corporate-Media is a Paid-For Lie. It is increasingly more apparent that the news we read and the reports we watch from the corporate media, regardless of what channel or publication we turn to, are tapping the same talking points provided by a handful of corporate-funded think-tanks. It was recently exposed that the Podesta Group, founded by Tony and John Podesta, openly admit and even showcase on their website their extensive manipulation of op-eds and news articles in well known newspapers across the United States including the Christian Science Monitor, the New York Times, the Washington Post, and the Huffington Post. Journalists people foolishly trust are regularly approached by lobbyists to write editorials and include talking points in their news reports regarding everything from "human rights" and healthcare, to regulatory legislation and even promoting war. The Podesta Group on its own website admits that it, "works both sides of the aisle to deliver results for our clients," and that it builds "reputable" brands for client organizations through the "prominent placement of op-eds in national publications like The Huffington Post and The Christian Science Monitor." 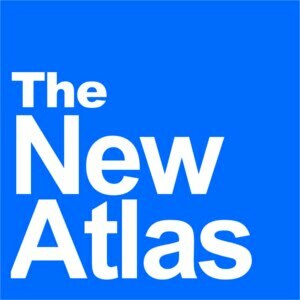 Under "services," the Podesta Group features categories ranging from agriculture to education, from energy and environment, to government reform and regulation to healthcare - each replete with examples under "PG at Work" of where op-eds and even news stories have been planted across prominent newspapers and networks to pose their lobbying work as "news." Unfortunately Podesta is not the only lobbying firm doing this - in fact - this is the modus operandi of all large lobbying firms. It was reported in "Meet a Propagandist: A Profile in Duplicity" that another prominent lobbying firm, Amsterdam & Peroff, a corporate member of the Chatham House think-tank, approached, amongst many other journalists, fellow Chatham House corporate member Thompson Reuters via Reuters journalist Andrew Marshall. Together they promptly began a 2 year propaganda campaign attempting to undermine the national institutions of Thailand on behalf of Wall Street proxy Thaksin Shinawatra. Amsterdam and Reuters Marshall's efforts also involved Western-backed street protests organized and led by their client Shinawatra and provide us with a transparent, well documented case by which to compare the West's similar operations now directed at Russia. What we are then reading and watching on a daily basis is nothing more than manipulative talking-points peddled by disingenuous, entirely compromised "journalists" delivering propaganda in the service of lobbying firms, instead of the accurate, responsible journalism people expect them to in the service of a well informed citizenry. A misdirected and confused public is one of the main factors as to why many of today's problems cannot be solved. A problem cannot be solved if it cannot even be properly understood. It is important to understand that everything we are presented with in the corporate-media is manipulated in this fashion, and that everything from the conflict in Syria, to street protests in Thailand, and Putin's return to power in Russia is presented to us in such a way as to bend our will and predisposition to supporting the agenda of Wall Street and London - not to help us understand the reality of world events as they unfold.